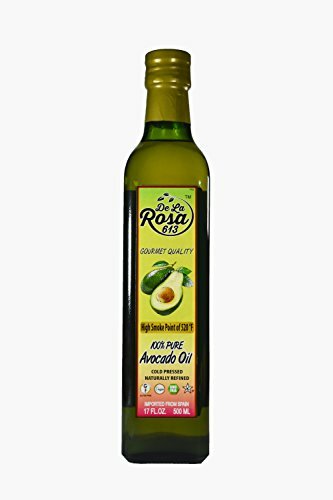 De La Rosa 100 Percent Pure Avocado Oil, 17 fluid Ounce -- 6 per case. De La Rosas Avocado Oil is one of the healthiest cooking options. Pressed from the fleshy fruit of the avocado, not the seed, our Avocado Oil is naturally low in acidity and high in monounsaturated fats and vitamin E. Dairy free, Yeast free, Low Sodium, Kosher, Vegan, Gluten free, Wheat free, fair Trade. If you have any questions about this product by de la Rosa, contact us by completing and submitting the form below. If you are looking for a specif part number, please include it with your message.